Manitoba’s coffee scene has never been better. On just about every other corner, you’ll find a coffee spot that’s hip and happening. Some you’ve heard of, others you’ve tried, and still there are a few waiting in the wings for the coffee connoisseurs’ stamp of approval. Luckily, Manitoba is the next best thing to paradise when it comes to good coffee. For the coffee lovers who not only know good coffee when they taste it, but are quite particular about the joe that crosses their lips, here are 11 java joints that we suggest you give a shot. This blogpost is all about locations you probably haven’t been to yet, and we’re betting anything that Grey Owl Coffee fits the bill perfectly. After all, it’s a fairly new location, but it’s also a very inviting one. And we just have to insist! Not only is the coffee that good, but so too is the service with an ambience that is easy on the eyes. Flatland may serve some very good coffee, but this coffeehouse is more concerned with the roasting process and that could be the reason why they serve such good coffee. Among their coffee options, the Rogue Wave Espresso is the pride and joy of this establishment with a taste that will appeal to coffee lovers who enjoy a full-bodied sweetness to their cup of joe. As West End coffeehouses go, The Strong Badger is one of the best. This locally owned spot not only offers excellent coffee, but great service. Its owner, Brock Peters, is big on the idea of community and often hosts live music events in the cozy Sargent Avenue location. Some people go for the pour-over coffee, some for the cappuccinos, others for the mochas. Whatever your preference, a good cup of coffee is always a guarantee here. With its country-chic layout and modern flair, that’s what will hit you the moment you walk through the door of Farmhouse 50, next will be the aromas of fragrant coffee and baked goodies. If you’re ever in the vicinity of this Minnedosa delight, be sure to stop by and take a sip of any of their options, hot or cold. If you’re looking for something unique, add some coconut and caramel to your macchiato. From the excellent service, to the baked goods, to the delicious coffee, customers rave on and on about Whitecap in Winkler. If you’re one of those go-with-the-flow coffee drinkers who isn’t too selective about the kind or flavour of coffee, then just about anything on the menu will appeal to you, but for good measure, we’d suggest the Ethiopian variety. A Moroccan coffee experience may be on your bucket list, but until then, this hot spot will do the job of getting you cultured. The brightly coloured exterior of Yafa Café is enough to pique one’s curiosity to go in search of what surprises and secrets are held within. And you will be pleasantly surprised by this fairly new spot. The coffee menu is delicious, with options like Honey Cardamom and Turkish Coffee Dallah. Manitoba’s coffee scene has never been better. On just about every other corner, you’ll find a coffee spot that’s hip and happening. Some you’ve heard of, others you’ve tried, and still there are a few waiting in the wings for the coffee connoisseurs’ stamp of approval. Luckily, Manitoba is the next best thing to paradise when it comes to good coffee. For the coffee lovers who not only know good coffee when they taste it, but are quite particular about the joe that crosses their lips, here are 10 java joints that we suggest you give a shot. Modern Coffee is another fairly spanking-new coffee spot located in the city’s North End. This shop boasts some of the best bean brands, including Black Pearl and De Luca’s Italian espresso with a focus on local and quality. And the baked goods aren’t too shabby either. Looking for gourmet cuisine? 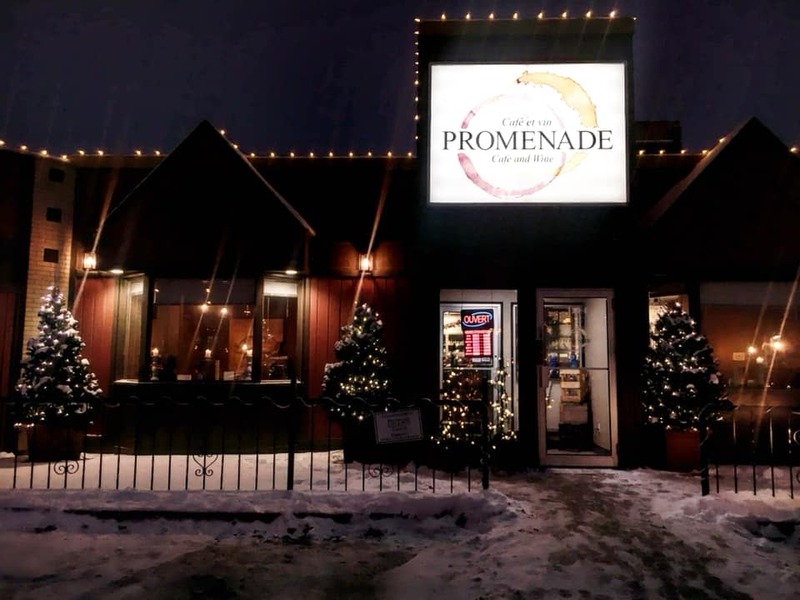 Promenade Café and Wine will hit the spot. Looking for gourmet coffee? Stick around after your entrée and sip on some of the most mind-numbingly good coffee you will ever have. This café is a bit of a surprise. Sure, it has the word coffee in its name, but tasting is definitely believing and then going back for more. 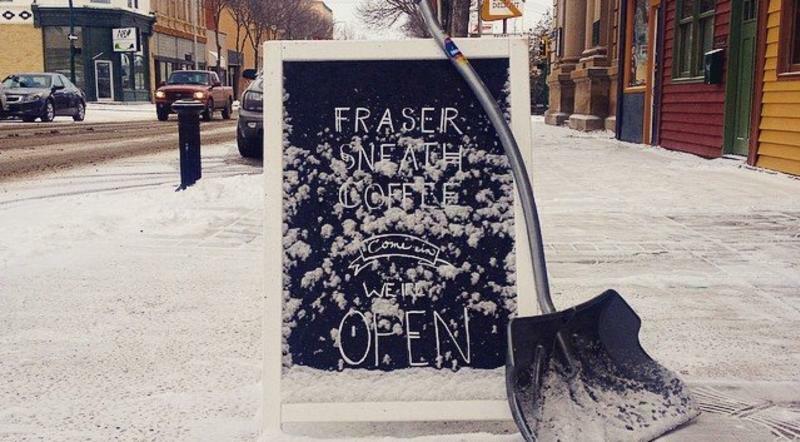 The large windows of Fraser Sneath let in the daylight and make you want to sit and sip on a cup of java. This coffeehouse is set in a heritage space in the heart of Brandon with a minimalist interior that doesn’t take away from the building’s status. For true hipsters, the matcha lattes are a must. Little Sister Coffee Maker is in the thick of things in the heart of Osborne and they recently opened a brand new location in South Osborne. Grab your laptop, or a good book and sit back and sip on your gourmet selection at this neighbourhood café. But if you&apos;re finding it hard to make a decision, go for the Cascara Spice Latte. Prairie Ink may be a full-service dining spot, but you’d be missing out if you didn’t at least indulge in a cup of coffee while there. In fact, some people ignore the menu altogether and make the coffee and dessert their go-to when they hit this sweet spot. If you’re into flavoured coffees, you can’t go wrong at Prairie Ink as the restaurant offers several tantalizing options. Live music on weekends adds to the ambience of the space.